We are considered in the market to be one of the leading manufacturers and suppliers of this impeccable range of Acoustic Insulation. For the purpose of living up to this reputation, we engage in the utilization of high grade raw materials and modern machines, in accordance with the set industry norms and guidelines. Owing to this, its standard of quality never deteriorates. 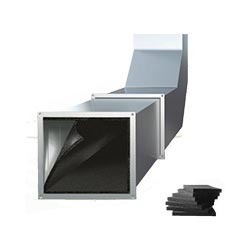 Looking for Acoustic Insulation ?